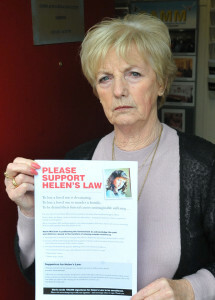 The campaign for Helen’s Law has launched in the Daily Mirror. Please support Marie by signing her petition. 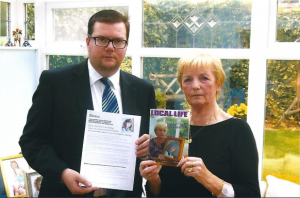 Conor McGinn, MP St Helens North raised Marie’s plight in the House of Commons on Monday December 7. “The impact of a murder to the family and friends of the victim is devastating, even moreso when the killer refuses to allow a dignified final resting place. “Those who are convicted of murder should not be considered for release if they do not reveal the location of their victim’s remains, and show no remorse for their actions; compounding the loss and devastation of the victims’ families. This is why I am adding my support to this campaign for the introduction of ‘Helens Law’. © 2013-2017	Follo	Powered by WordPress. Logo designed by Mark Carthy. Website by Compass Design.